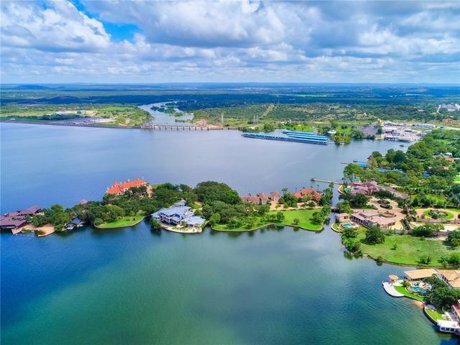 The beautiful Highland Lakes area is dotted with waterfront communities galore! Check below for a sampling of communities that have access to our beautiful lakes. Lake LBJ, originally named Lake Granite Shoals is a reservoir on the Colorado River in the Texas Hill Country about 45 miles northwest of Austin. The reservoir was formed in 1950 by the construction of Granite Shoals Dam by the Lower Colorado River Authority (LCRA). The Colorado River and the Llano River meet in the northern portion of the lake at Kingsland. Lake Marble Falls is a reservoir on the Colorado River in the Texas Hill Country. The reservoir was formed in 1951 by the construction of Max Starcke Dam by the Lower Colorado River Authority (LCRA). Originally named Marble Falls Dam, the dam was renamed in 1962 for Max Starcke, the second general director of the LCRA. Located near the town of Marble Falls, the lake is used as a venue for aquatic recreation and for the purpose of generating hydroelectric power. Most of the property bordering Lake Marble Falls is privately owned. Fishing and boating are popular recreational activities. Lake Buchanan was formed by the construction of Buchanan Dam by the Lower Colorado River Authority (LCRA) to provide a water supply for the region and to provide hydroelectric power. Buchanan Dam, a structure over two miles in length, was completed in 1939. Lake Buchanan was the first of the Texas Highland Lakes to be formed, and with 22,333 acres of surface water, it is also the largest. The surface of the lake includes area in both Burnet and Llano Counties. Inks Lake is a reservoir on the Colorado River in the Texas Hill Country in the United States. The reservoir was formed in 1938 by the construction of Inks Dam by the Lower Colorado River Authority (LCRA). Located near Burnet, Texas, the lake serves to provide flood control in tandem with Lake Buchanan and features the smallest hydroelectric power plant on the Highland Lakes chain. Some of the property bordering Inks Lake is privately owned. Inks Lake State Park is adjacent to the lake and includes facilities for camping, backpacking, swimming, golf, and boat access.